16-year old MAX MCGRATH has just moved to a new town—and is desperately trying to fit in—when he discovers his body can generate the universe's most powerful energy. 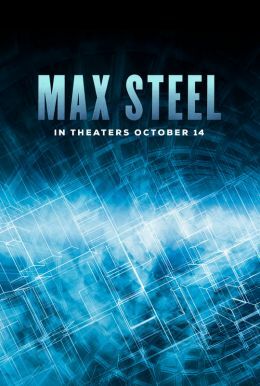 Unbeknown to Max, a slightly rebellious and hilarious techno-organic extraterrestrial named Steel has been keeping an eye on him, hungry for his super-human energy. When they finally meet, they discover that together they form MAX STEEL, a superhero possessing powerful strength beyond anything in our world. These two unlikely friends soon find themselves hunted by sinister forces who want to control Max's powers, as well as an unstoppable enemy from another galaxy.